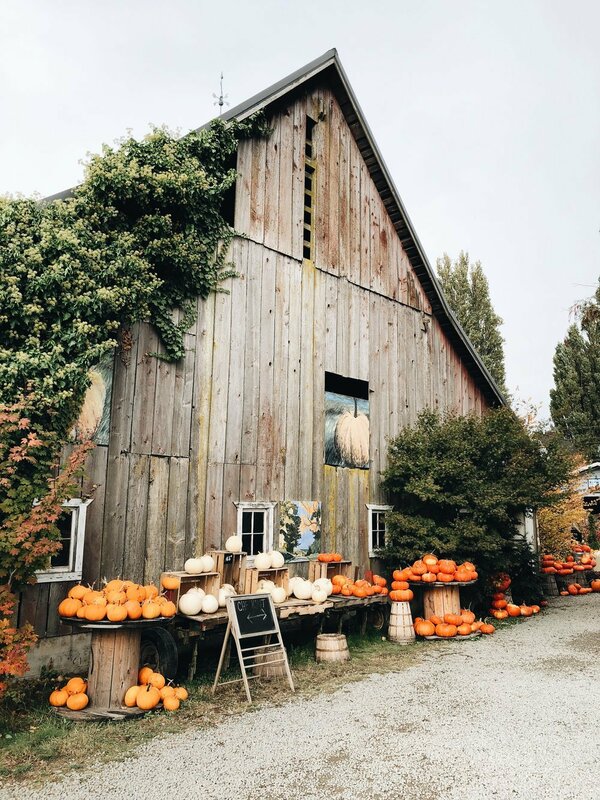 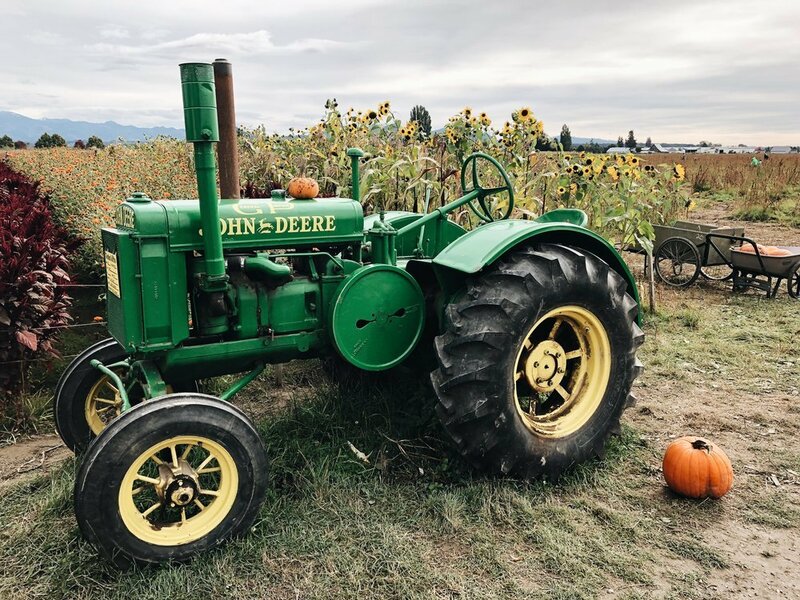 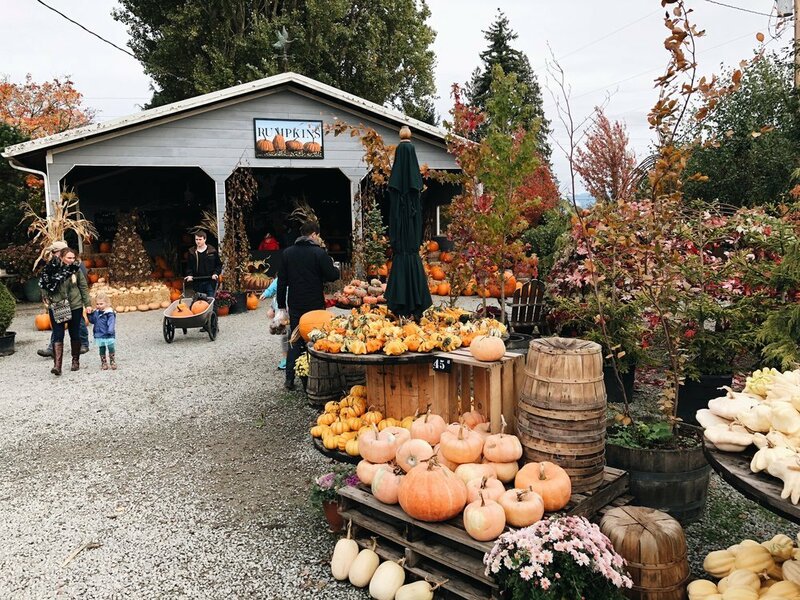 If you grew up in the PNW, going to the pumpkin patch was a staple fall activity when you were a kid. 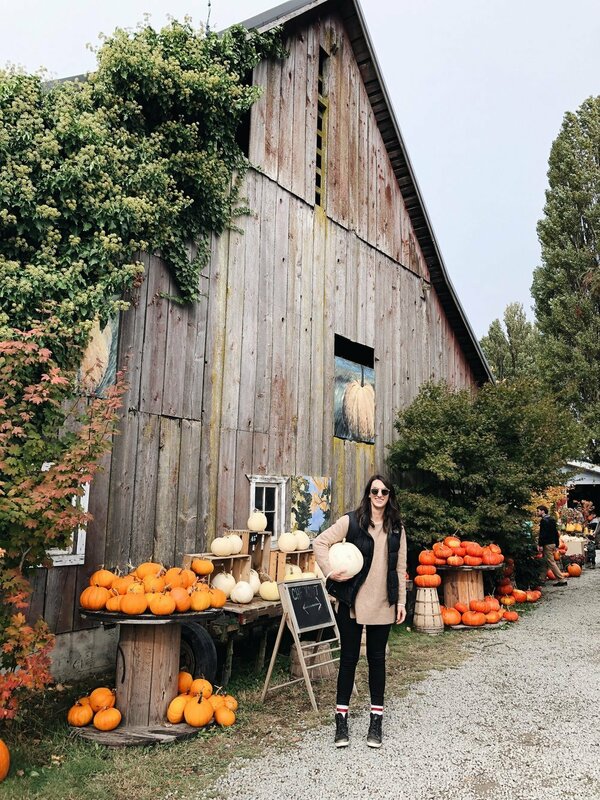 Not that pumpkin patches don’t exist elsewhere, but it just isn’t the same walking through a parking lot in LA with hay bales placed strategically around, wearing a t-shirt and shorts. 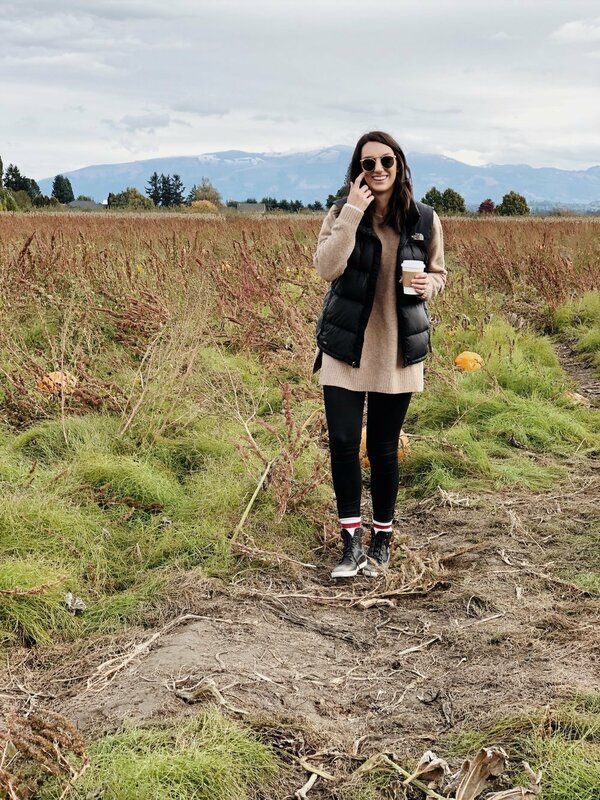 It’s best to be splashing through mud puddles, picking your pumpkin off the vine, ditching your little sister to get lost (and now have PTSD) in the hay maze, and drinking hot apple cider. 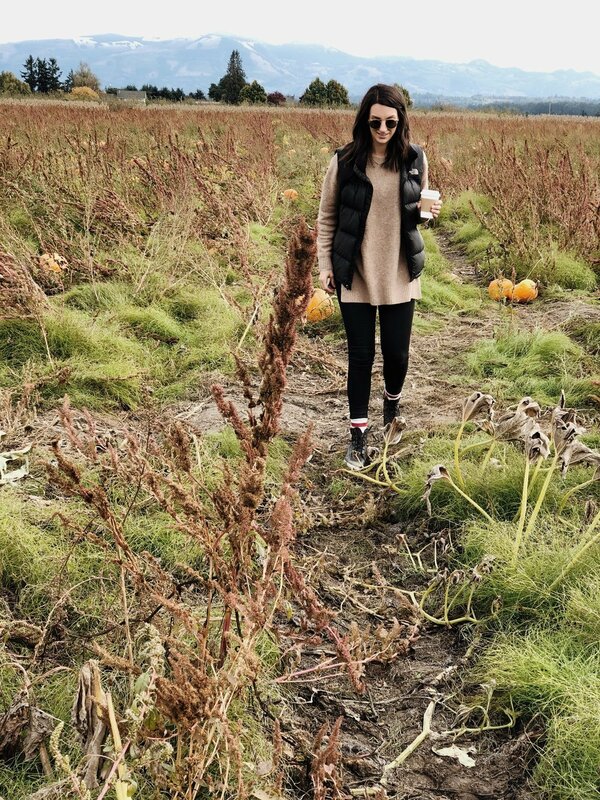 Last weekend we did just that. 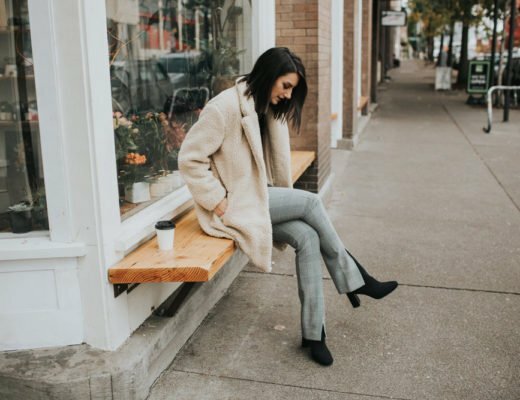 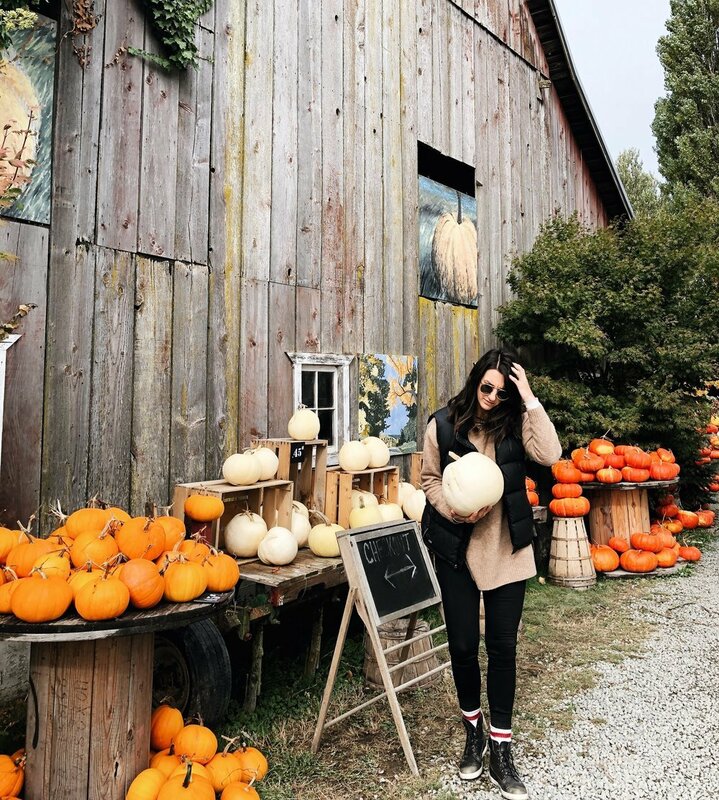 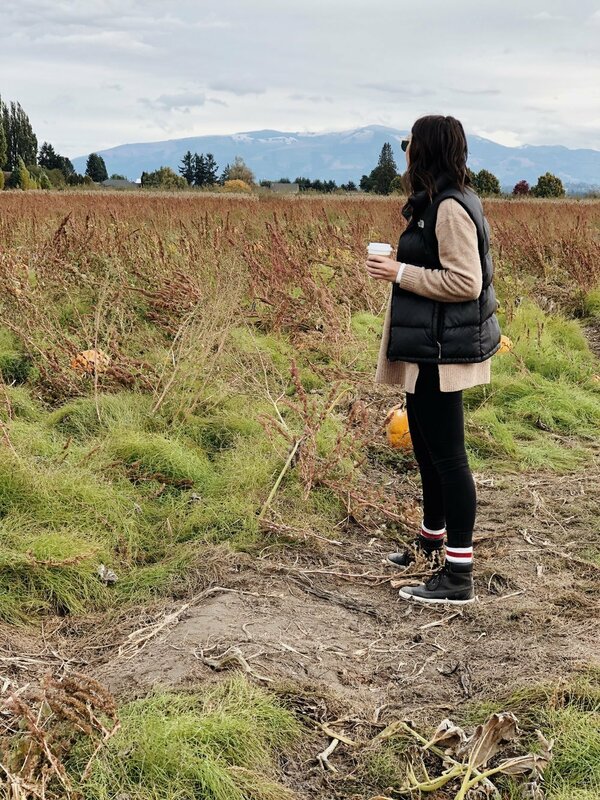 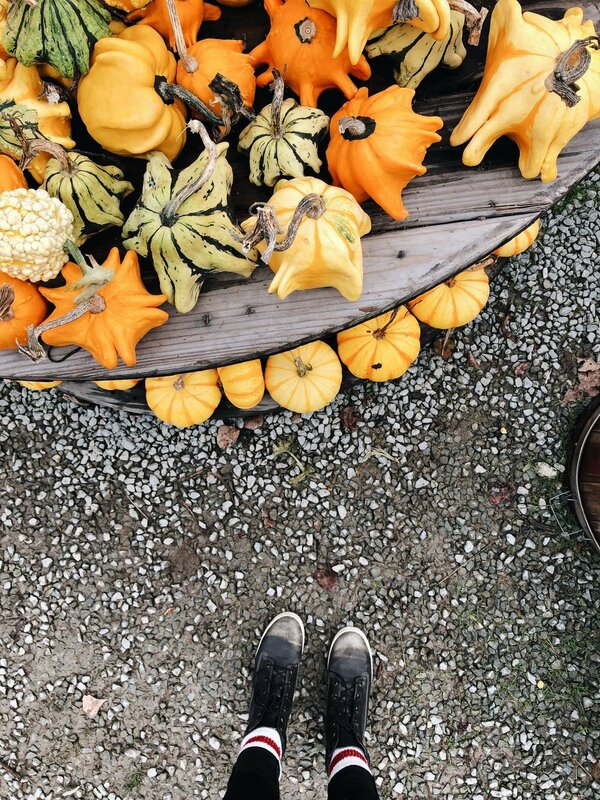 I threw on my most PNW outfit, we took the hour drive up to Mount Vernon, trudged through mud puddles, drank fresh cider, and picked our pumpkins. 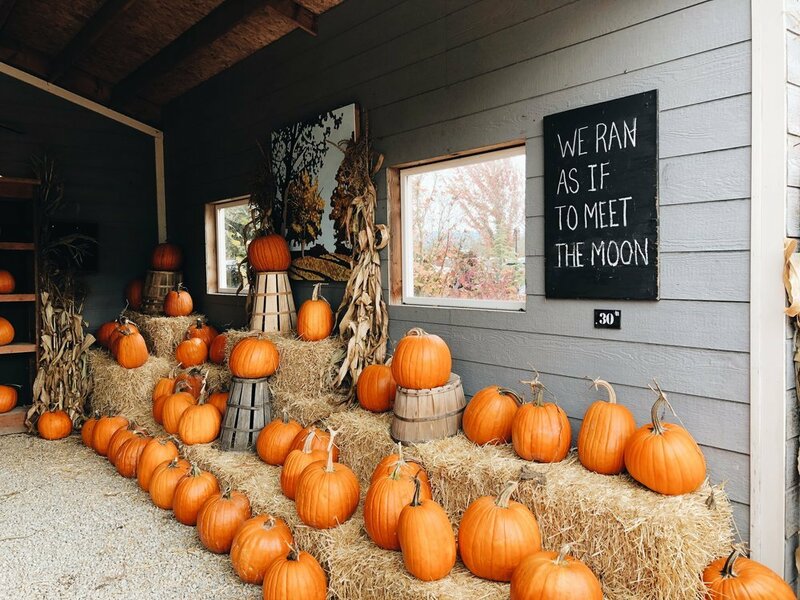 The only thing that’s lost its lustre a little bit in the light of adult life is carving them. 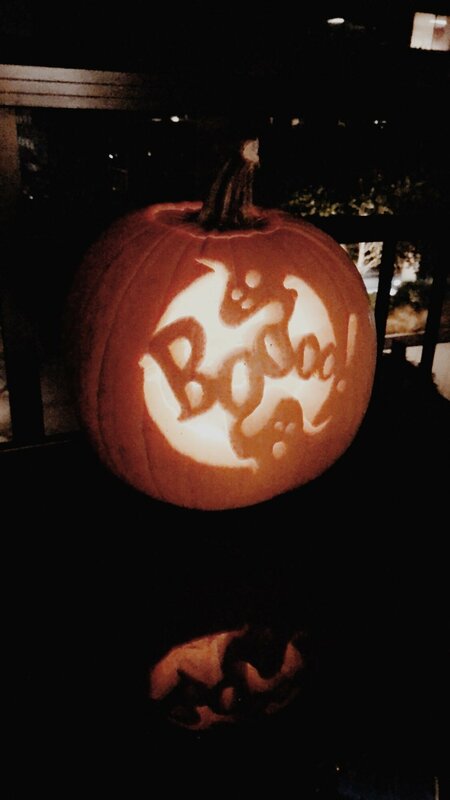 One out of 6 of us actually carved a pumpkin; the rest of us are using them as statement porch decoration. 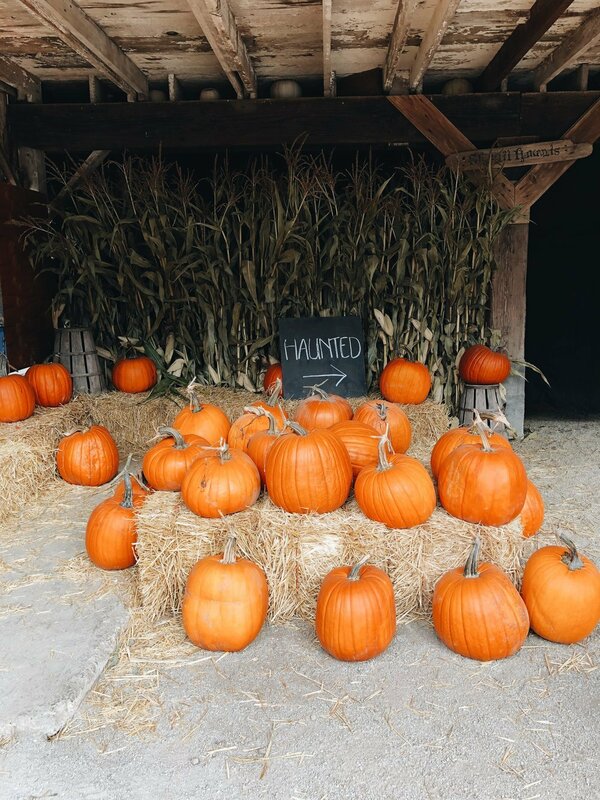 *pumpkin carving not by me.